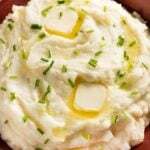 Cream Cheese Mashed Potatoes – The absolute best, easy to make, mashed potatoes! 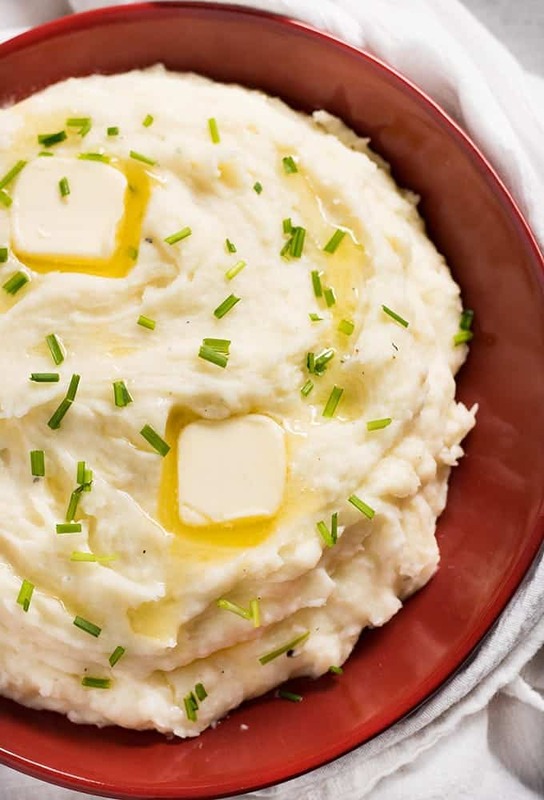 These cream cheese mashed potatoes are perfectly creamy, buttery, and full of cream cheese flavor with a hint of garlic! Ok, so, disclaimer: this is NOT health food. We’re not talking about “light” mashed potatoes made with skim milk here. These potatoes are rich, decadent, and sinful in all the right ways! I like to refer to these as “holiday” or “company” mashed potatoes, because they’re sure to impress your guest. 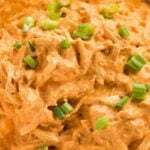 But, they’re really easy to make for any old weeknight if your craving some comfort food. If you don’t mind peeling a few taters that is. I never mind doing the peeling, the prize at the end is totally worth it! I had a friend introduce me to mashed potatoes with cream cheese in them a few years ago. I’ve never gone back to plain ol’ butter/milk mashed potatoes after that day. Actually, I’m pretty sure everyone in my house would complain if I even considered leaving the cream cheese out. These potatoes take an entire stick of butter, a good 8 ounce chunk of cream cheese, plenty of garlic, salt and pepper, and some milk (I use whole milk to keep them nice and rich, you can use what you like!). 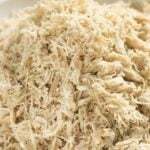 And, I promise you this simple ingredient list will give you the most satisfying “special occasion” mashed potatoes that you’ve ever had the pleasure of putting in your mouth! 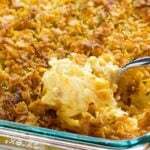 Speaking of special occasions, let chat about how to always have mashed potato success AND how to make these ahead and keep warm for company! Always place your potato cubes into an empty pot. Cover them with COLD water, then place on the stove and turn on the heat. Potatoes added to hot/boiling water cook unevenly. Simmer, don’t boil! If you boil your potatoes on very high temperature, they are likely to fall apart, and be watery – yuck. Make them ahead! If you want to make mashed potatoes ahead of time, simply cook them as directed. Then, add them into the crockpot and stir in an additional 1/4 -1/3 Cup of milk to keep them from drying out. You can keep them on warm this way for 3-4 hours. 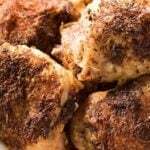 These ultra decadent mashed potatoes are an amazing side with these Crispy Chicken Thighs and with my Slow Cooker Meatballs & Gravy! 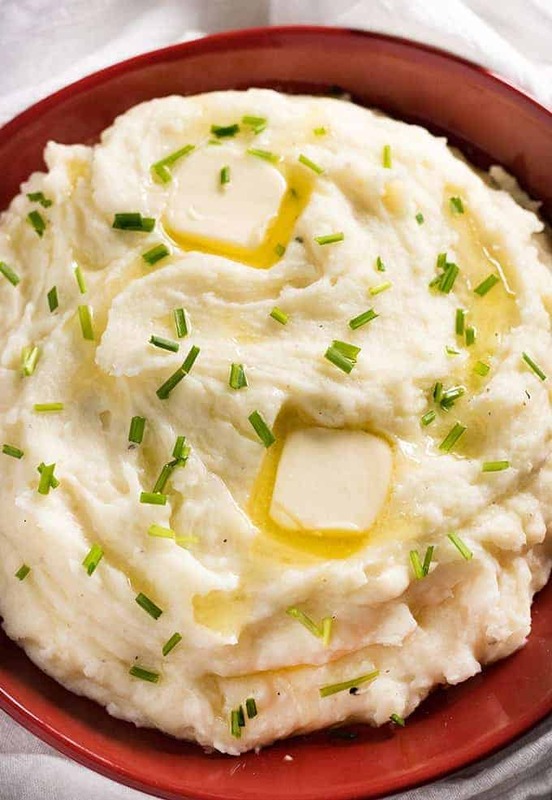 Cream Cheese Mashed Potatoes - The absolute best, easy to make, mashed potatoes! 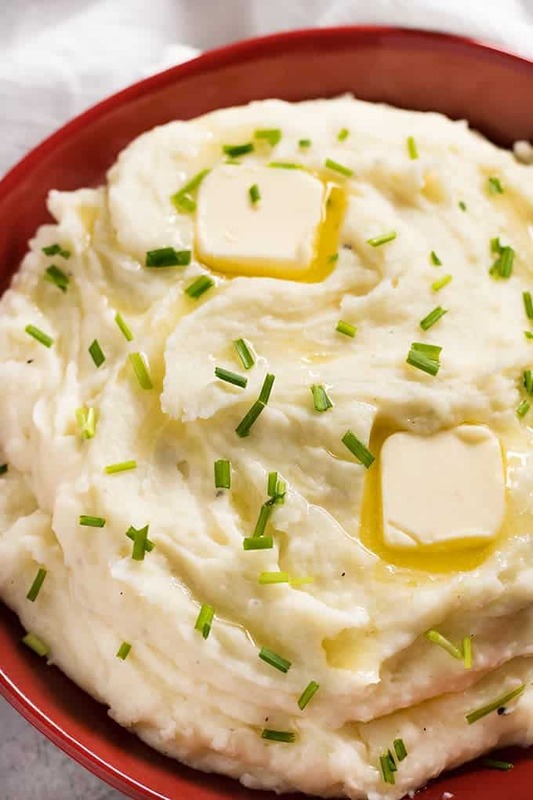 These cream cheese mashed potatoes are perfectly creamy, buttery, and full of cream cheese flavor with a hint of garlic! Wash and peel potatoes, then cut into 1 inch cubes. 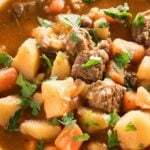 Place the potatoes into a large stockpot and cover with cold water. Bring the potatoes to a gentle boil and cook for 15-20 minutes until tender. Drain the potatoes and return to the warm pot, or to a mixing bowl. Add the cream cheese, butter, milk, and seasonings to the potatoes. Mash slightly to break the large potatoes up. Beat the potatoes with an electric mixer on medium speed until smooth and fluffy. Serve immediately garnished with chives if desired. 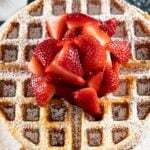 NOTE: I start with 1/2 Cup of milk for this recipe and add more if needed for desired consistency. Use 1 Cup of milk or a little more if you like your potatoes a little more thin. 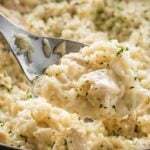 Cream Cheese Mashed Potatoes: The best easy recipe for homemade garlic and cream cheese mashed potatoes! 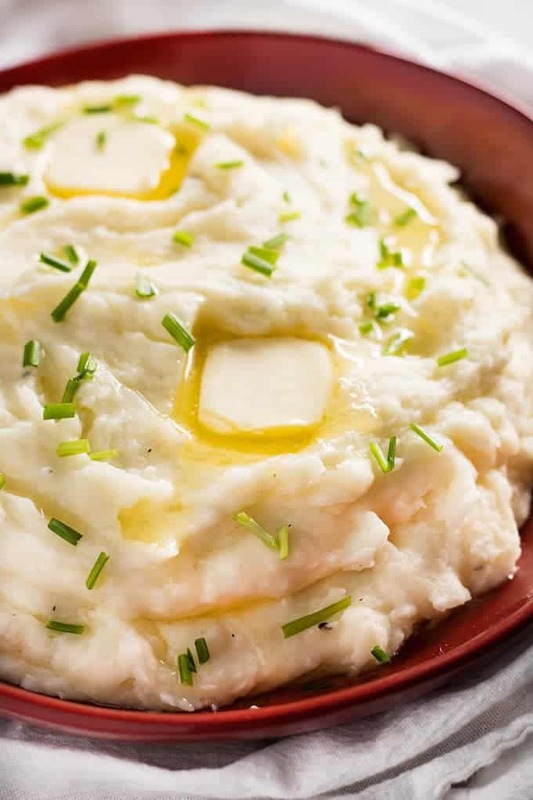 Use russet potatoes, butter, and cream cheese for the ultimate creamy mashed potatoes! Very delicious ! Thanks for sharing! Delicious made them for dinner the family LOVED them! Just made these mashed potatoes. They are delicious!